Just north of Paekakariki village, Whareroa Farm has a significant Maori and European history which once included forming part of the McKays marine camp during WW2. The Department of Conservation has undertaken significant work in developing the entrance, visitor centre, and associated walking tracks. A local guardians group is involved in restoration planting. 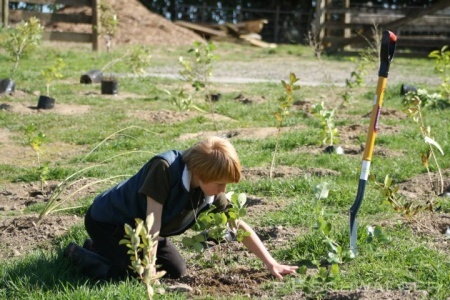 With the help of volunteers, Living Legends was pleased to be able to contribute a further 5,300 native trees to Whareroa Farm. Farming will continue on 189ha of the 450ha property adding a special flavour to the visitor experience. Plans for mountain bike tracks, poled tramping tracks will extend activities towards the Akatarawa Forest on the eastern boundary of the property. The Horowhenua/Kapiti Rugby Legend is the sensational “Paekakariki Express”, Christian Cullen. Cullen played a big role in New Zealand rugby through the late 1990s and was given an emotional and overwhelming farewell when he bowed out of New Zealand rugby to take up a contract with Munster in Ireland at the end of the 2003 season. A product of Horowhenua and growing up on the outskirts of Wellington, Christian Cullen showed exceptional rugby qualities at an early age. Christian’s first coach was his father, Chris Cullen, who as well as coaching provided Christian with the best piece of advice, “do your best and put your best foot forward at all times -you never know who will be watching you”. From the small Kapiti College near Paraparaumu he made the New Zealand secondary schools side in 1993 and 1994. In those seasons he was playing mainly as a centre and it was in this position he was used in a strong national under 19 side of 1994 and where he alternated between fullback in his representative debut in eight matches for Horowhenua. Cullen’s rise continued with selection in the national sevens side in 1995 and in that year’s New Zealand Colts side which won an international tournament in Argentina. Christian had an outstanding form in the inaugural Super 12 for the Hurricanes and again in the sevens which meant that his entry into the All Blacks was a formality. Aged only 20, he made an instant impact with three tries in his test debut against Samoa and followed that with four in the international against Scotland. Christian’s All Black debut in 1996 was his proudest rugby achievement. For the next few seasons Cullen was an automatic selection, everyone agreed that he was a unique talent. 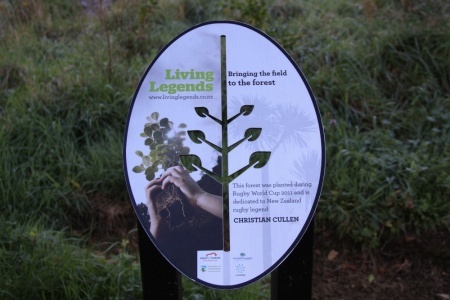 Cullen’s ability as an astonishingly prolific tryscorer is reflected in the fact that in 58 tests between 1996 and 2002 he scored 46 tries, which became the All Black record at the time. In his entire first class career which embraced representation for Horowhenua, Manawatu, Central Vikings, Wellington and the Hurricanes he scored in excess of 150 tries. These days Christian is kept busy with various business interests, playing lots of golf and spending time with his wife Mandy and children Cole, Christian and Dillon.